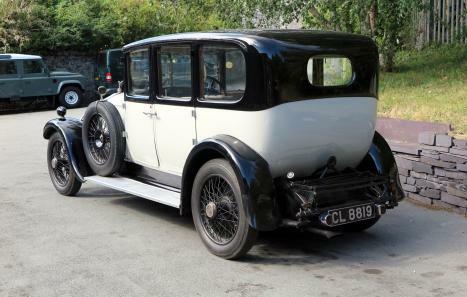 A handsome, vintage and spacious six light saloon with character and maturity, as well as being in sound condition structurally – always important with cars of this type. 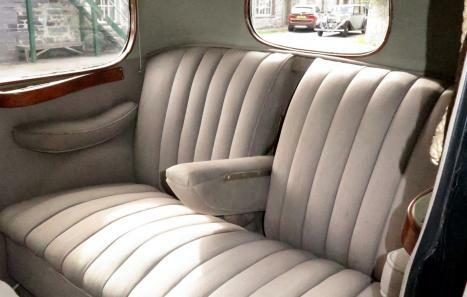 Appealing features include divided 'V' windscreen, correct set of head and side lamps, 21” wheels, Bedford Cord interior throughout, excellent headlining with braided trim surround and – unusually for a saloon – an occasional seat within the rear of the front passenger seat. 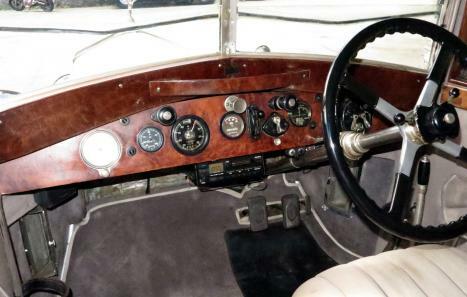 We sold this car in 2002 since when it has remained with the same owner, virtually unused and now, ideally, in need of some attention to the engine, but this will be dealt with as part of the sale. Alternatively we can offer a discount if the car is taken 'as is'. The cylinder compressions are good & even and we feel that the work required is relatively light in nature. A good car, waiting to embark on its next life journey. 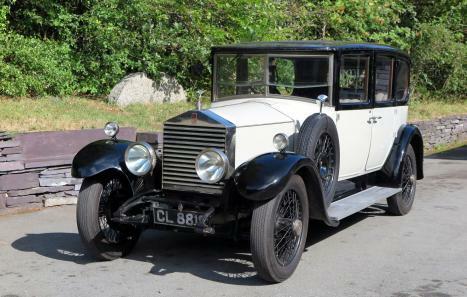 The first owner of GZK64 was Horace Jesse Sexton (1881/1954) a scion of the Sexton shoe family – the family connection to the shoe industry can be traced back to 1861 with Horace Sexton who at that time was listed as a boot & shoe maker, chiropodist, rent collector, estate commission agent and life insurance agent with his then partners Thirtle, Coleman & Pointer. By 1862 the partnerhip had been dissolved with Horace Sexton building a new factory in Norwich. During the 1920s Sextons produced “Swifan” ladies Promenade & Evening shoes in a range of fabrics – leather, brocades, satins & velvets alongside boots for the army. Horace Sexton’s home was Nr 410 Unthank Road in Norwich was named after the Unthank family who originated from Unthank village in Northumberland in the 1800s, over time the Unthanks became property dealers and in 1835 Clement Unthank wed Mary Muskett of Intwood thereby increasing the Unthanks land holiding and status within the local community. The chassis cards show that in 1936 GZK64 was with her 2nd owner, Geoffrey E Brett who lived next door to Horace at Nr 412 Unthank Road!